I first encountered the quest to make this cake for my mom's birthday last year. Therefore I had to look for substitutions. Japanese cheesecakes, with their fluffy texture and light flavor, are the idea presentation of such stuff! When I first gave them out to my friends to try, they definitely had the "it's to die for face". Even now they're still asking for more. Enough details, here I'll share the "secret" recipe. 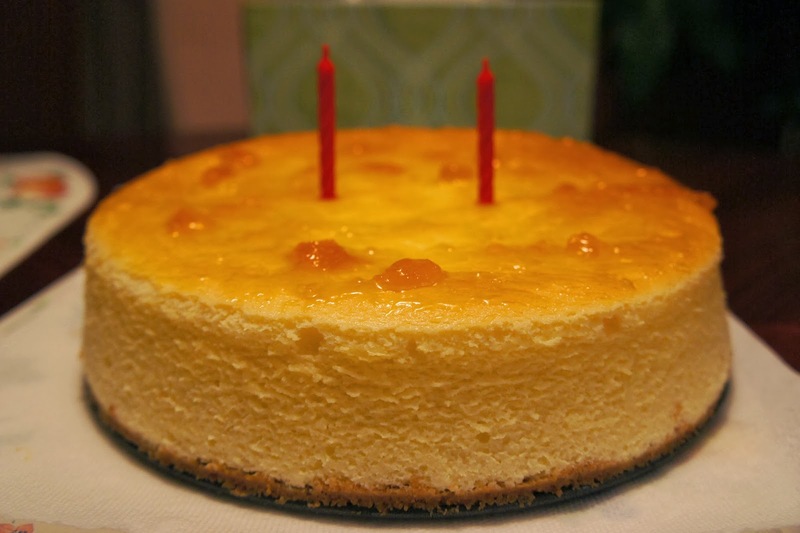 There's just about a million different Japanese Cheesecake recipes online. The question is, which one is "the one"? Here I've used the one from Just one cookbook , a simply beautiful blog if you enjoy Japanese fusion foods and desserts. Yes. They're the ones to die for. Fluffy, soft, not too sweet. I've also added a graham cracker crust just to jazz it up a bit. You can leave that part out, just put a sheet of parchment paper on the bottom of the pan before baking. 1. Before you start prepping, remember to keep cream cheese, butter, egg yolks, and heavy cream at room temperature. 2. Preheat oven to 320F (160C) degree. Mix cracker crumbs and butter, press into bottom of pan. 3. In stand mixer, beat cream cheese and 60g granulated sugar until smooth. Add and beat butter. 4. Beat egg yolk first and then add to the mixture. Then add heavy cream and combine all together. 5. Add lemon juice and rum and mix until the batter is very smooth. 6. Sift flour twice. Add the flour all at once and mix. 7. Take the batter out to a large bowl. Wash the stand mixer’s bowl and dry completely. 8. In stand mixer, whisk egg whites and add 100g sugar in three separate times. 9. Beat the egg whites until stiff peaks. Please remember not to over-beat as I have done so before and the cake turned out to be a little bit collapsed after cooling. If you whisk too much, the surface of cake will crack. 10. Add 1/3 of meringue to the batter and mix well first. 11. Then add the rest of meringue all at once and fold it in (not mix this time). 12. Cut parchment paper for the bottom and around the springform pan. Lightly spray oil on the cake pan and place the parchment paper (you do not have to place the parchment paper if you have a non-stick springform pan, the cheesecake should still come out without stuck bits). Cover the bottom of the pan and fold the extra foil on the side. If you use regular size aluminum foil, make sure to seal the two sheets of foil very tightly by folding two edges and make one big foil. The foil is to prevent water from seeping through the gap to the cake.